textures and patterns of art and Dichroic glass. They come in black card gift boxes. 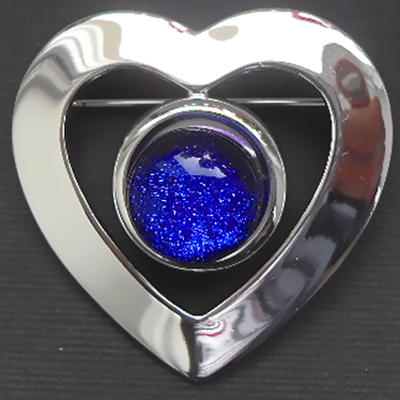 This plated silver heart shaped brooch has a Cobalt Blue piece of Dichroic glass in the centre. 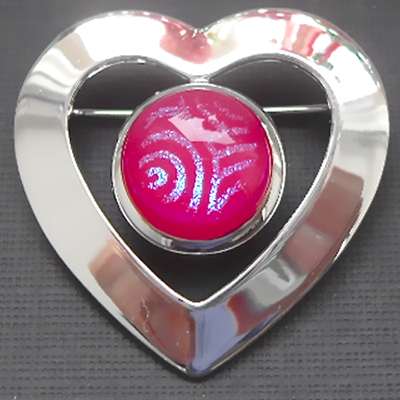 This plated silver heart shaped brooch has a Dusky Pink piece of patterned Dichroic glass in the centre. There are matching earrings and bracelet. 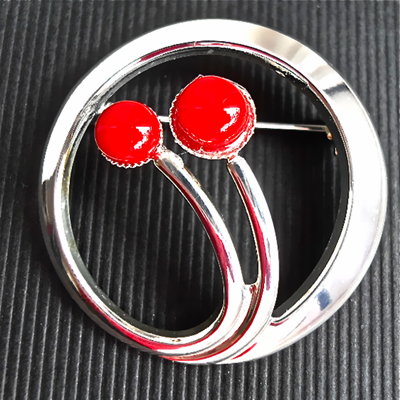 Circular plated silver brooch with two pieces of bright opaque Red glass. Very dramatic looking brooch. 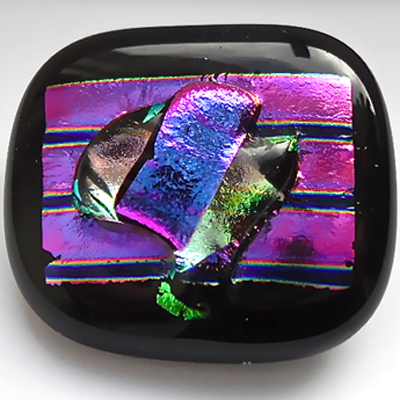 Black with Magenta, Purple and a bit of Gold Dichroic glass. Unique, very arty colourful glass brooch. 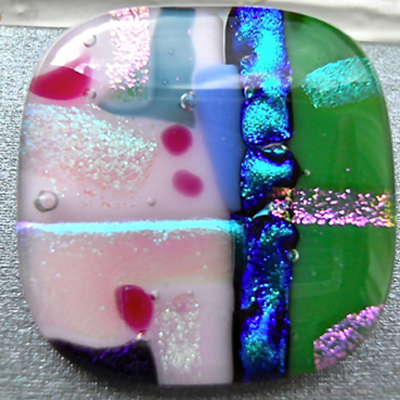 Very pretty arty Dichroic glass brooch. It has many colours including Pink, Green and Turquoise. 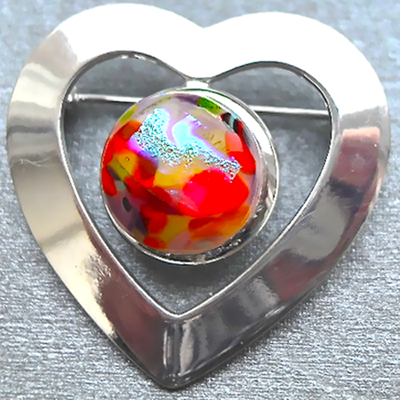 Very pretty plated silver heart shaped brooch with a multi coloured piece of glass in the centre. 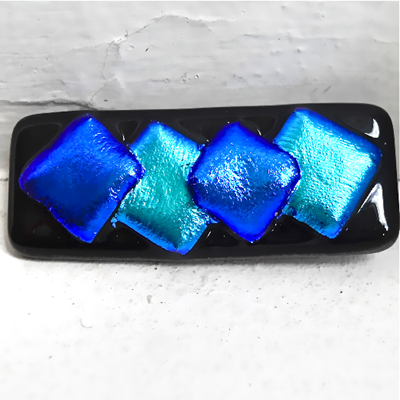 Very striking Dichroic glass brooch. It has a Black base with two diamond shapes in Cobalt Blue and two in Teal on top. 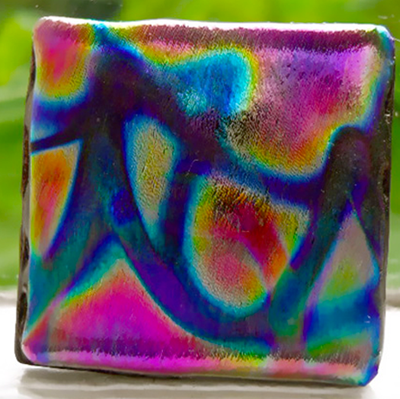 This Dichroic glass brooch has all the colours of the rainbow in it. Almost like a small abstract painting. 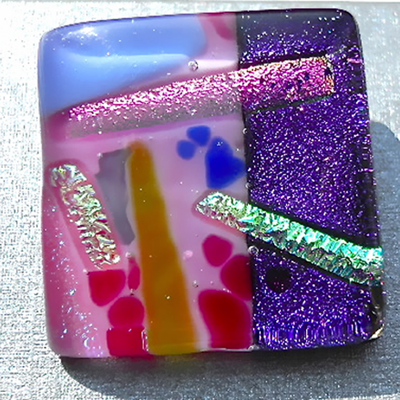 Abstract design dark Purple fused Dichroic glass brooch. 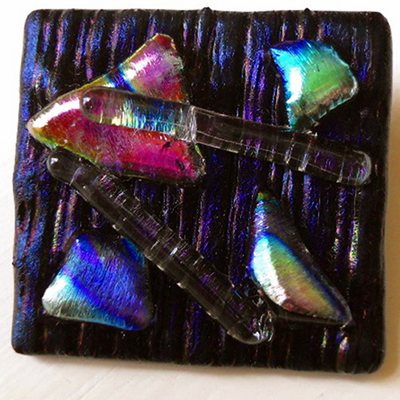 This arty looking brooch has a dark Purple textured base with six pieces of rainbow coloured Dichroic glass on top. 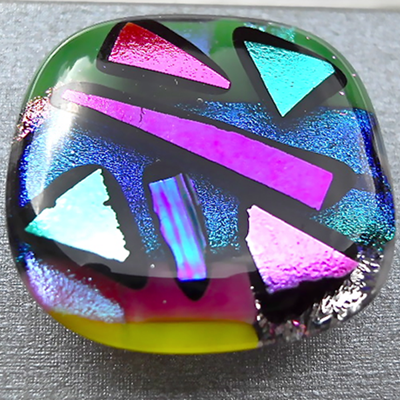 Very bright and colourful abstract design Dichroic glass brooch. 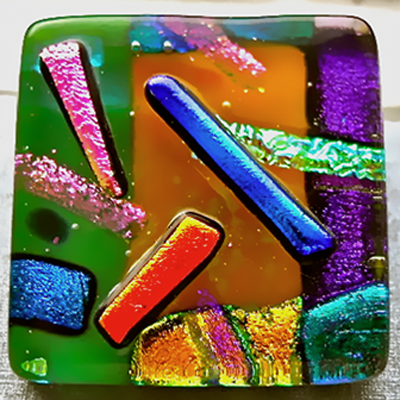 Beautiful vibrant square brooch. It has many colours including Purple, Blue, Pink and Gold.